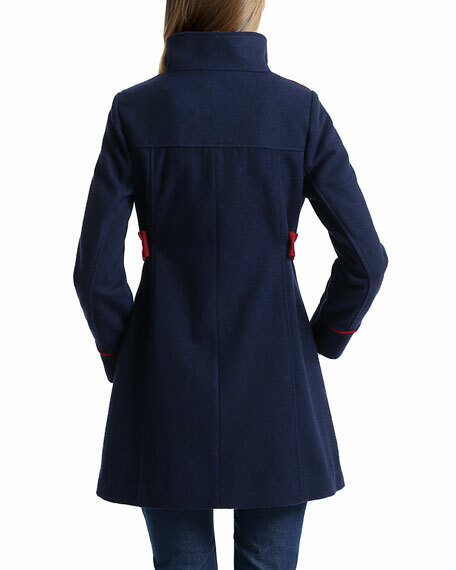 Coat comes fully lined and features interior pockets. 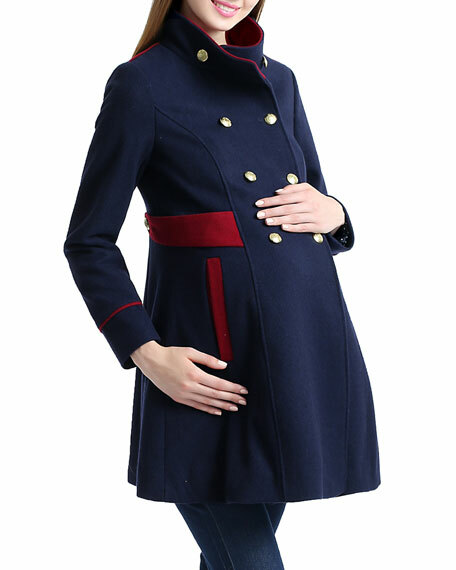 Designed to carry you to full term from your pre-pregnancy size. 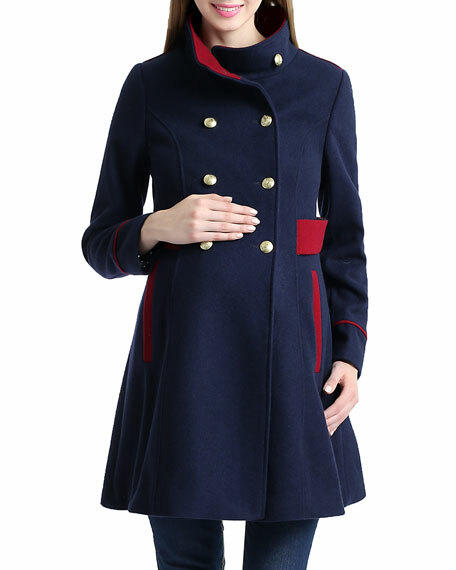 Kimi + Kai "Pan" wool-blend peacoat with colorblock design and gold tone buttons. Approx. length: 34"L from shoulder to hem; 34"L down center back. Convertible funnel neckline; double-breasted button front.